The story and the way it is narrated is as catchy as the book’s title. 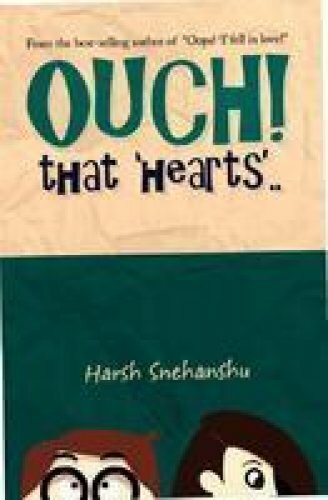 It is the sequel to Harsh Snehanshu’s debut novel – Oops! I fell in love. 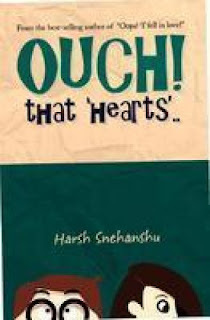 It talks about long distance relationship and how love kept them glued to each other. Loneliness makes Kanav - the lead –to pen down the most amazing days in his life. His love helps him in recognizing his passion – the passion for writing!! They wait endlessly, yet hopefully, to meet each other. But, fate had its own calculations. They meeting and end up fighting. Kanav looses his wit and Tanya – his lady love – feels devastated. However, the story ends with a positive note; Kanav starts talking to a Queen of Venice. And, his breath is taken away on seeing her pictures. We, the readers, are left wondering if that is Tanya? Or is it some other girl! I really enjoyed reading the book. It’s witty. Joyous. And full of love!! It is not a work of literature. The innocence of the narrator and his lovelorn condition makes it very interesting. Everyone who loved the first book - Oops! I fell in love - can’t stop themselves from falling in love with this book. And all others… Please read the first book so that you can enjoy reading this one. A perfect way to kill a few hours!